Road Atlanta (US), 4th October 2014. 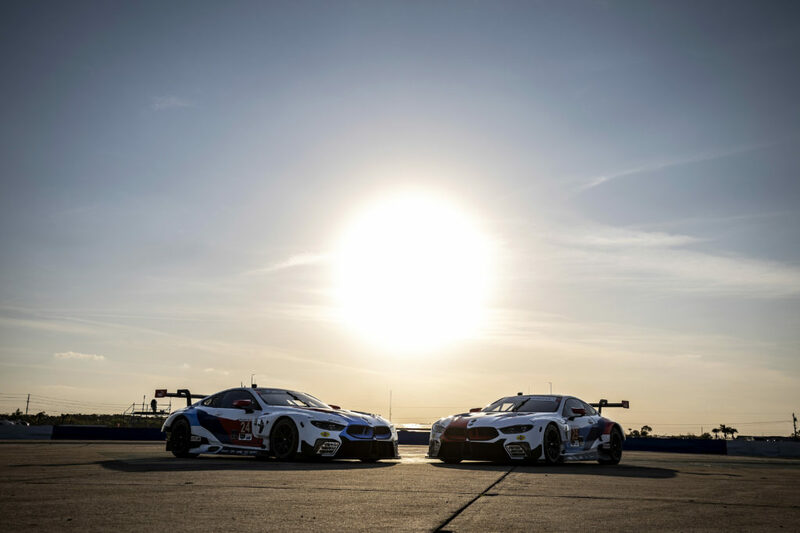 A new era was ushered into America for the 2014 sports car racing season, as the American Le Mans Series and the GRAND-AM Series had been amalgamated into the United SportsCar Championship (USCC) – and BMW Motorsport and BMW of North America were ready for this new challenge with the BMW Z4 GTLM. For this new series BMW Team RLL had an incredibly strong line-up of drivers with a new face joining the regulars. In the black number 55 car Bill Auberlen (US) was joined by the ‘new boy’ triple world touring car champion Andy Priaulx (GB), while the partnership of Dirk Müller (DE) and John Edwards (US) continued in the white number 56 car. The first challenge for them was the 24 Hours of Daytona (US) at the iconic track in Florida. As usual, for the longer races, extra drivers were drafted in. Joey Hand (US), who had been a regular in the American Le Mans Series before heading to race in the DTM, and Maxime Martin (BE), who was in the team in 2013, joined the number 55 line-up, while in the number 56 car it was Dirk Werner (DE) and team principal Bobby Rahal’s son Graham (US). The first race was the all that the team had hoped for with strong performances by both cars and a podium after a hard fought 24 hours. This was for the number 55 car that was just 2.838 seconds behind the winning car when Hand crossed the line in second. The number 56 car came home a creditable fourth. More top-three finishes in Sebring and Long Beach. The next race may only have been half the length at 12 hours, but it was no easier. At the Sebring (US) 12 Hours it was just Hand and Werner who joined the team and helped it to its second podium of the season. The number 55 car was third, while the number 56 could only manage tenth after a tangle with another competitor. However, the good news was the team left the race leading both the Driver and Team competitions. 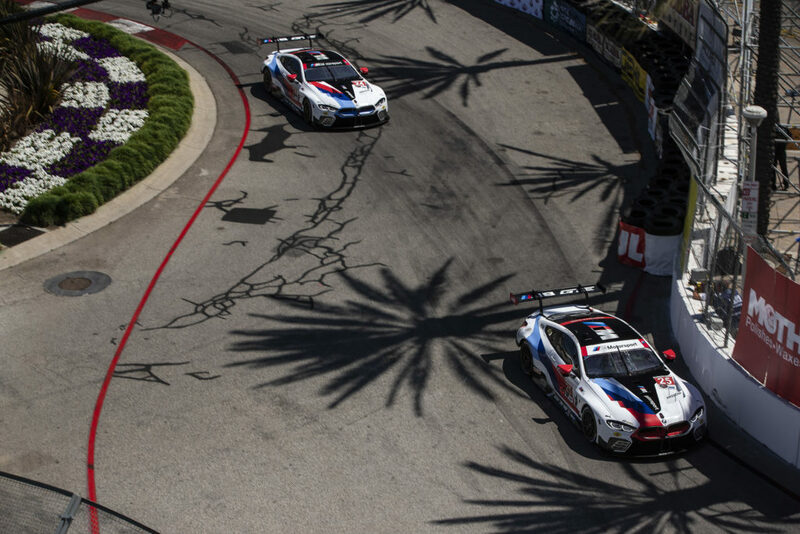 Race three was a very different matter as it was only run over 100 minutes and was on the streets of Long Beach. A strong qualifying of second (55) and third (56) ended up with the first podium for Müller and Edwards in third, but a disappointing tenth for Auberlen and Priaulx, who, for once, would have welcomed a full course yellow to help them get back up the field after having to put on a new door in the pit stop. Debut at Watkins Glen after a long summer break. Race four in Laguna Seca (US) was two hours long and with second (56) and fifth (55) on the grid again looked as if the fourth podium of the year was possible. This was the case with the number 55 coming second, although a vibration and a penalty dropped the sister car down to tenth. 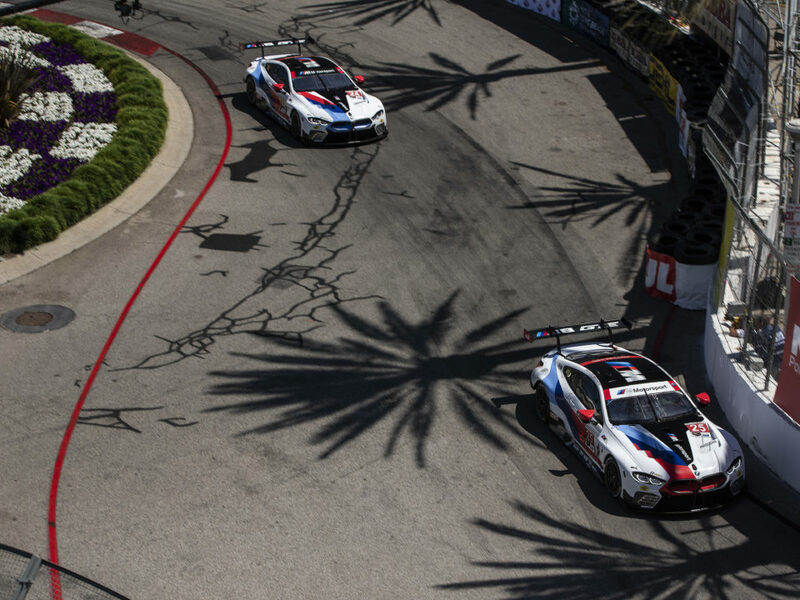 BMW Team RLL was heading into the long summer break still leading the championships. While several of the American teams headed to the Le Mans 24 Hours (FR), BMW Team RLL squad was getting ready for a new race for the outfit from Ohio. This was the first time the team had raced at Watkins Glen (US). Being new to this track didn’t faze it, with the number 55 claiming the team’s first pole of the year and the number 56 third on the grid. Again this was a different format with a six-hour race, but at the end of it the team was to be disappointed. A variety of issues, including punctures and having to avoid spinning competitors, turned into sixth (56) and tenth (55). Difficult races in Canada and Indy. As the team went to the sixth of the 11 races in Canada it was with some trepidation, as it had not had the best of luck in the past at the Canadian Tire Motorsport Park, one of the fastest tracks in North America. The number 56 car was fourth after starting from fifth and the number 55 sixth from tenth after 2hours and 45minutes, which was to be the length for the next four races. Round seven was on the Indianapolis Motor Speedway and the team was hoping to convert second (56) and fifth (55) on the grid to good results. However, this was not to be as sixth (55) and seventh (56) was the best they could manage with a lot of contact in the dramatic race. BMW Team RLL returns to the podium. Road America (US) was next on the schedule and here and it was back onto the podium after a three-race draught. The number 56 car was on the team’s second pole of the year and came home second, while the 55 finished eighth from fourth on the grid. The teams then headed to the Virginia International Raceway and another podium for the number 56 car with third from fourth on the grid, while the sister 55 car ended up fourth from second on the grid. Grand finale at Petit Le Mans. The penultimate race of the season was in the stunning Circuit of the Americas in Austin (US), Texas. The team knew it would have a tough time there as, due to some adjustments with the Balance of Performance, the weight of the cars had been increased by 25 kilograms. The team’s worst fears were confirmed when they qualified sixth (55) and seventh (56) and then in the race finished in the same positions but with the cars switched round. 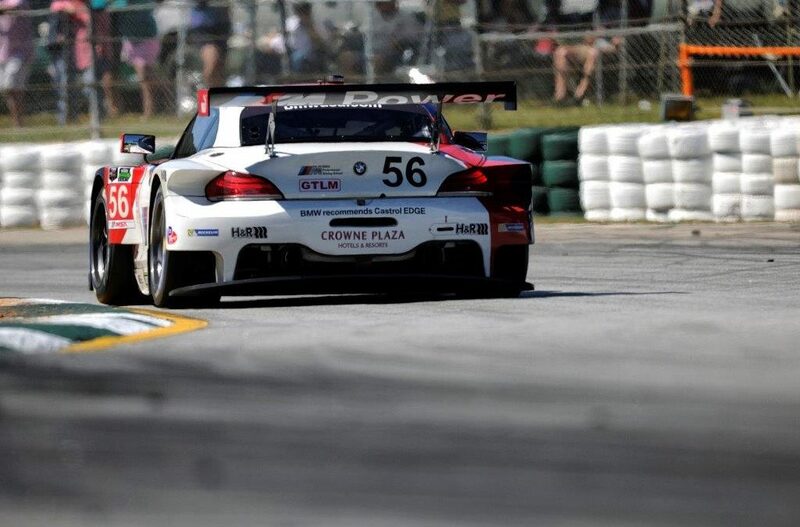 At the season finale in Road Atlanta (US), the BMW Team RLL drivers suffered a dose of bad luck. Car number 55, driven by Auberlen, Priaulx and Hand, was forced to retire after three hours due to an engine problem. Edwards, Müller and Werner were racing in reach of a podium finish for long periods of the race and even ran in second at times, until a broken damper and the necessary repair works put the number 56 BMW Z4 GTLM back in seventh.